The married couple 'Yat Kin Tau' and 'Yu Jai' in The Hippocratic Crush, Kenneth Ma and Tavia Yeung, are really good friends in real life. They basically led the whole conversation on their own. Kenneth: My mom loves Tavia so much she pretended to visit her son on the set, but in reality she's just going to see Tavia! Tavia: In the TV King race, my vote goes to Kenneth Ma no matter what. Kenneth: I'm very happy to collaborate with Tavia, just simply looking at her I'm already happy... as a matter of fact, until the day you marry..."
Tavia: I don't know why, but I think me and him are just personally very sweet. Kenneth: I'm especially sweet when I'm paired with Tavia! Tavia: Honestly, even if we don't play a couple or married couple, it's fine too. Also, this time in On Call 2, our sweet scenes aren't those passionate types, its more about mutual support. Kenneth: We were willing to put the effort in, if the audience watch the series carefully, they will realize how sweet we are. Tavia: I have a lot to say. Kenneth: That's what I like about you because you have so much to say! But my bed scenes with her were all just talking on the bed, so disappointed! Kenneth: It turns out many people in HK have this issue. It's a city disease, such as if you walk out the door, you think about whether you turned off the lights or the stove, this is already considered anxiety. The question is how much anxiety do you have. Kenneth: Tavia has high expectations on herself. She gives herself invisible stress. I always tell her to relax. I don't have much anxiety, pretty relaxed. Tavia: No, he has anxiety sometimes too. Just like sometimes I tell him this and that, he would say: "Is that going to work? I'm afraid it won't!" He's very stubborn. Actually I'm stubborn too, when we're together its going to be a big battle, but if really are together, then must have mutual tolerance. Even if we're colleagues, still need to be tolerant. Kenneth: It's easy to see how a person is when filming. I've been in too many series with Tavia, so I really can see her character. We spend so many hours in a day filming, sometimes when you're exhausted, you really can't hide your temper, but I have never seen Tavia with a bad temper. She's a goddess! Tavia: I have my stubborn side too. Men may just go speak their minds, but women would think, don't cause too much trouble. Kenneth: Tavia will definitely be a good wife. The definition of a good wife is not because she's a good cook or have a good figure... it's more on whether you feel comfortable around the person. We have been in so many series together, we get along quite comfortably. If I'm fortunate to have her as my wife, then I'm absolutely the lucky one. Tavia: Kenneth? Don't have to say it, my mom loves him. Kenneth: My mom loves Tavia too. (Can meet the parents?) Already met before, one time we were in Shanghai filming Silver Spoon Sterling Shackles, my mom came to visit me on the set, but I knew she came just to see Tavia. Tavia: What we have most in common is we are both family-oriented. He really loves his mom. When he's on the phone, he talks so softly and attentively: "Where are you? I'll pick you up later." Wah! Sounds like a girlfriend! Kenneth: It's the same every year, will try my best. You think about it, there is Chilam, Ah Mo (Moses), Wayne and Inbound Troubles' Roger Kwok. 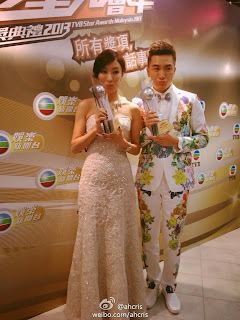 Then there is Ruco Chan and Edwin Siu...you think about this year, just the nominations will scare you. 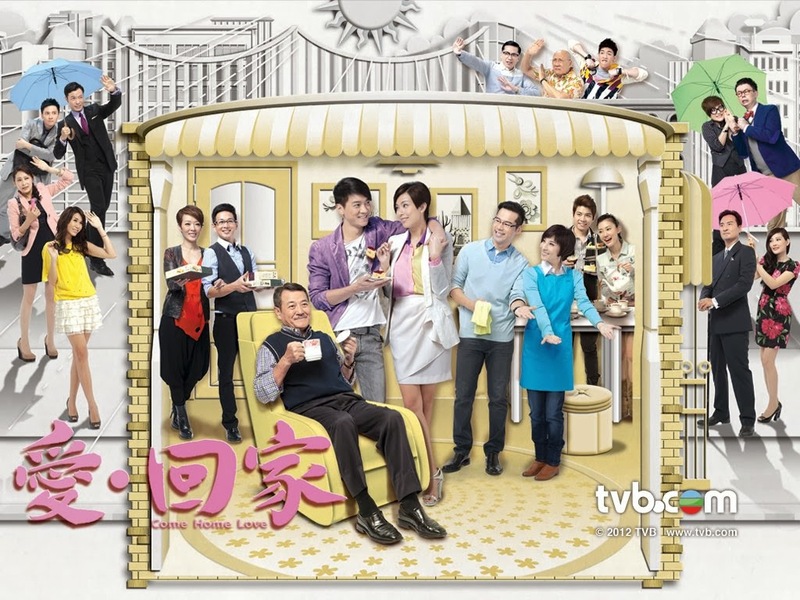 There is also Francis Ng, Lawrence Ng and Dayo Wong, so many amazing seniors that haven't been back in TVB series for so long...wah! That's even better, no pressure on me. If I have success in getting it, then I'm just lucky. But On Call 2 is an anniversary series, the broadcast period is close to the award ceremony, the audience will remember it. Its a benefit. Tavia: My vote already went to you! No matter what, I'm voting for him. Give me five! Kenneth: I voted for Tavia too. I hope she can get the award for depending on her 'Yu Jai' role because I have a deep profound relationship on Yu Jai. (Happier if you two get the award together?) I would go crazy, I really would! If I could get it with Yue Jai then we really must go for a passionate kiss! Tavia: I would cry! Wet French kiss! If they collaborate again, what type of role do they want to portray? Kenneth said: "A couple with more kiss scenes. (No fear of Mr. Law?) Never been scared, don't say I didn't say.... until the day she's married..." Tavia said: "His mind is just full of those thoughts."